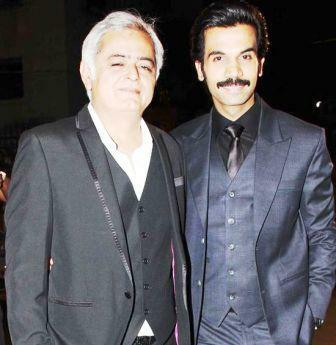 Chennai, Oct 29: Actor Rajkummar Rao, who has teamed up with National Award winning filmmaker Hansal Mehta for the third time in “Aligarh”, says he can never turn down an opportunity to work with the “Shahid” director. “Even if I were to do a small role in Hansal-ji’s film, I’d do it happily. I can never say no to him,” Rajkummar told. Having already worked with the filmmaker twice, Rao chose to reunite with Mehta in “Aligarh” not solely on the basis of their relationship. “I didn’t want to miss out on working in a beautiful film. Here’s a story that needs to be told and who else other than Hansal-ji can do justice to it? I read the script and fell in love with it, especially with my part, which is so different from the roles I’ve essayed in my career,” he said. In the movie, Rajkummar plays south Indian reporter Deepu Sebastian. For the role, he met the real character to have a deeper understanding of his role. “I play a Malayali boy, who has spent a lot of time in Delhi. His lingo is a strange mix, different from the Hindi we speak in north India. I had to learn Malayalam, and let me tell you it was extremely challenging to mouth lines in Hindi with a southern accent,” he said. In his third collaboration with Mehta, the biggest challenge for Rajkummar was to ensure there were no traces of his characters from their earlier outings. After making it to international film festivals, “Aligarh” is set to open the 17th Jio MAMI Mumbai Film Festival. The film also stars Manoj Bajpayee, and is based on the true story of Shrinivas Ramchandra Siras, who taught at the Aligarh Muslim University and was sacked from his position on charges of homosexuality. Rajkummar is thrilled that Indian audiences will finally get to see the film. “It’s very important for us to know how our people receive the film. Their opinion is very vital for us. It’s an honour that our film is the opening film of the festival,” he said, and added that audiences won’t find the film “controversial”. “Indian audiences have evolved. I think they’re ready to accept such films,” he said.